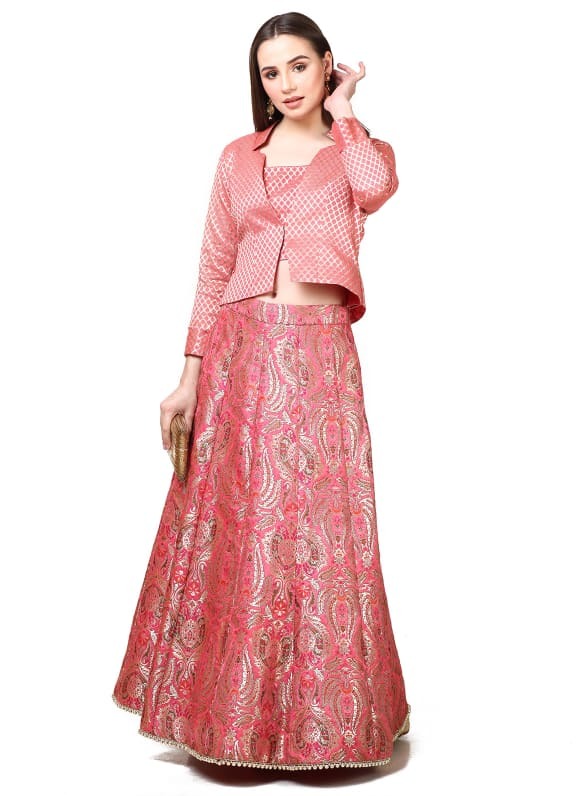 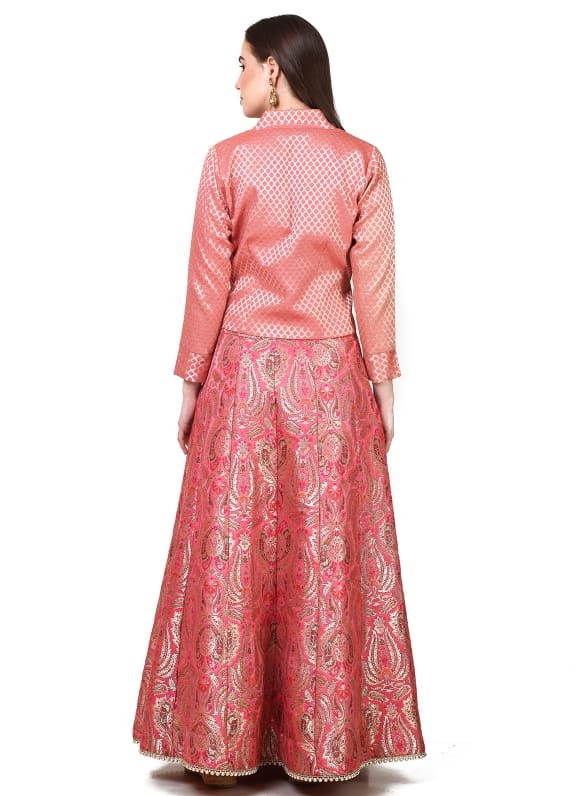 Featuring a pink brocade lehenga skirt. 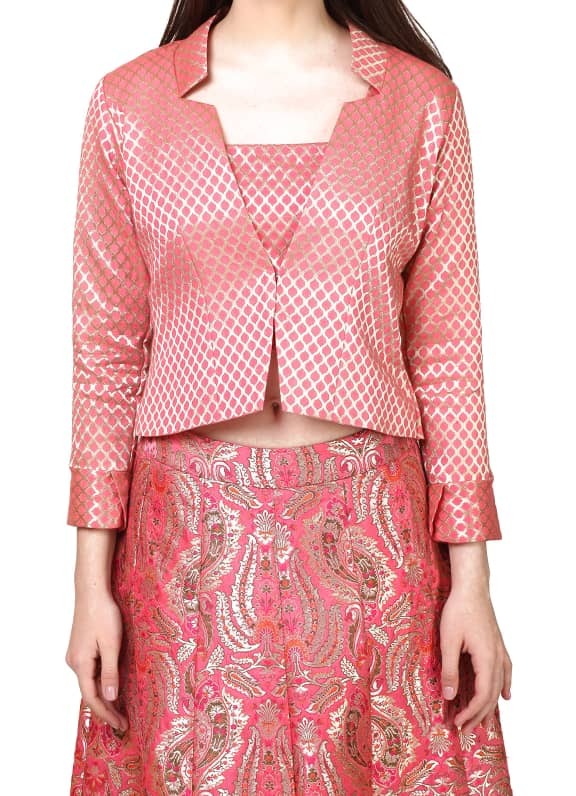 It is paired with a matching bustier and lapel collar jacket. 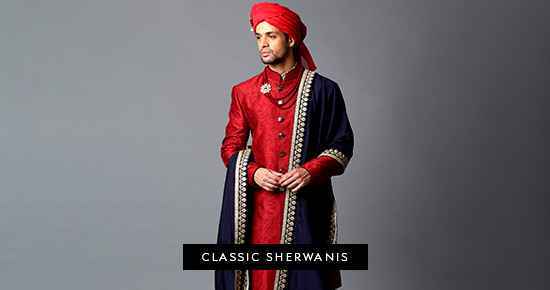 Keep things offbeat this festive season and don this stunning outfit for your next family function. 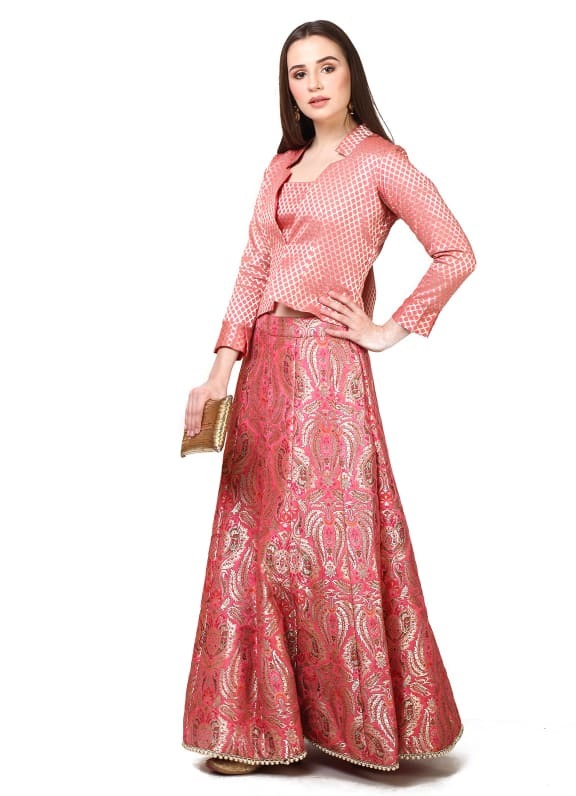 Style your look with a pair of Amethyst earrings and an Amethyst bag.